Kiev (AFP) - Ukrainian President Petro Poroshenko on Tuesday launched an uphill battle for re-election, five years on from a bloody uprising that brought him to power on a promise to tackle corruption. "This feeling of deep responsibility towards my country... prompted me to decide to run again for the office of President of Ukraine," he told a forum in Kiev ahead of March 31 polls. 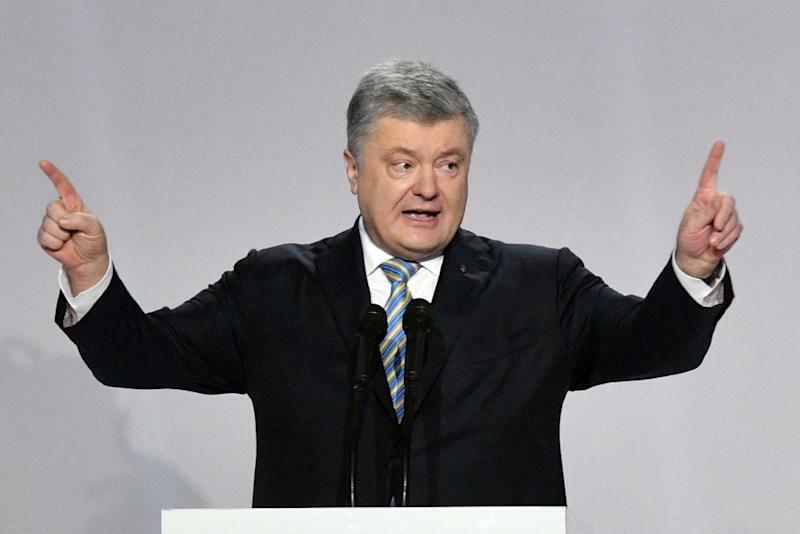 Poroshenko asked voters for a mandate to "guarantee the process of European and Atlantic integration, to guarantee our independence, to renew the territorial integrity of Ukraine." Kiev's relationship with Moscow remains in dire straits. After the 2014 uprising, Moscow annexed Crimea and supported Russian-speaking separatists in Ukraine's east, in a conflict that has claimed the lives of more than 10,000 people.